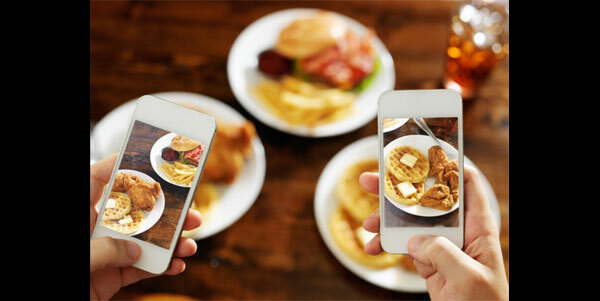 A new study done by Rice University shows that increased use of smartphones and digital devices may cause food craving and higher risk of developing obesity. The study report to be featured in the upcoming edition of Brain Imaging and Behavior is based on a survey of 132 participants in the age group of 18 and 23. The participants were assessed on an 18-item Media Multitasking-Revised (MMT-R) scale that takes into account the urge to check mobile phone while talking to someone else, frequent checking for messages and updates and so on. It was found that higher MMT-R scores were linked to increased body fat and likelihood of increased obesity. Out of the 132 participants, 72 were subjected to an fMRI scan in a follow-up research while they were shown fat-rich foods. Those who had higher Body Mass Index (BMI) showed increased brain activity in the region dealing with food temptation. The study has implications on optimising the use of smartphones and digital devices for all age groups as it can have adverse impact on the body and mind.